With the theme of this month’s newsletter – “Back to School” I could not think of a better choice for a book review than Wooden. So many of the agents and loan officers we work with have sought out coaches to help them in business. Our firm has also looked to coaches to help make us better in business. I recently heard a life/business coach indicate that her industry developed from sports coaching which makes sense. Wooden is the coach of coaches. So much of the coaching I have been exposed to in business seems to borrow from John Wooden’s philosophies and strategies. Sports coaches are famous most often for winning. John Wooden, my all-time favorite coach, is famous for not only winning but for teaching and developing his players into great people. While, he won 10 national college basketball championships in 12 years, at heart he was a teacher. This book is a summary of his philosophies and suggestions for what to focus on to become the best version of you. 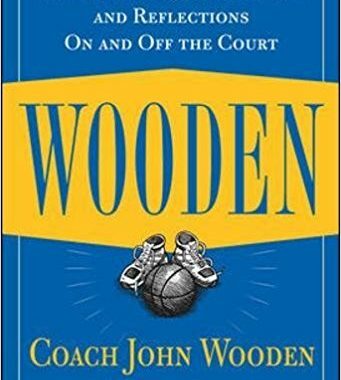 As I reread the book for this article I was reminded just how influential John Wooden can still be as a coach. The book is a collection of short essays, paragraphs and even poetry which are broken down into four parts: I. Families, Values, Virtues, II. Success, Achievement, Competition, III. Coaching, Teaching and Leading, IV. Putting it All Together: My Pyramid of Success. This book has something for everyone and at each stage in a person’s career and life. And with that small quote is the foundation for the book and the philosophy that each and every day we need to attempt to become a little better and if we do, over time we’ll become a lot better. At heart John Wooden was a teacher and this is your opportunity to learn from the best! 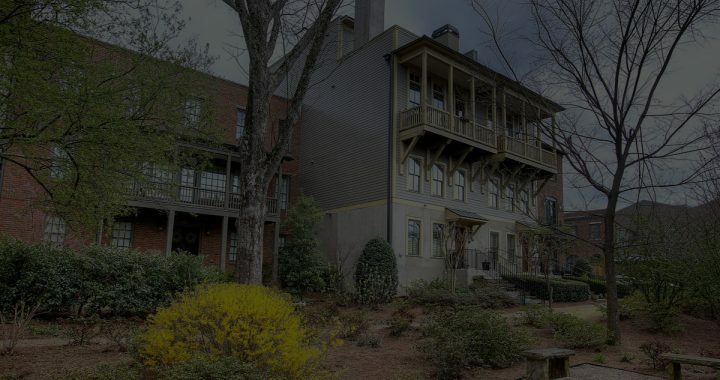 Nestled in the Redan neighborhood in Stone Mountain. 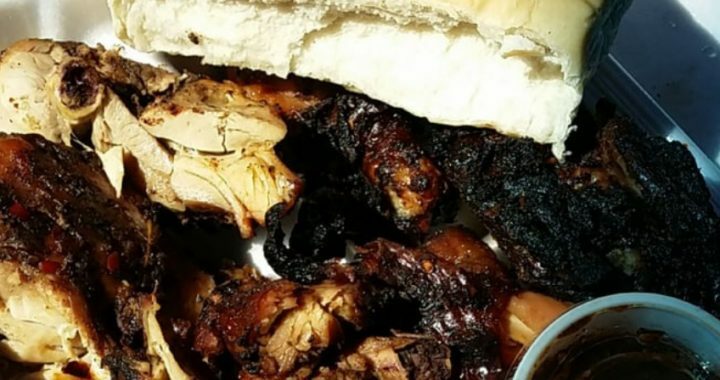 It is Caribbean Cuisine at its finest. Really it is some good old fashion Jamaican food. It reminds me of my grandmother’s cooking in Jamaica. The staff are personable and remember0 their clients well. My favorite dish lately has been the vegetable plate with Ox -Tail gravy. What is funny I’m not a gravy girl. We have sent so many people there and it is great to hear their favorite dishes. We have one friend that buys Rice and Peas with Jerk Gravy, that is all. Banana Tree’s soups are really popular and sell out fast. My Dad’s favorite is the Cow Foot Soup. Don’t ask what is in it. I really do not know but I have to call in early on Saturday to make sure 1 large soup is held for my Dad. There is a vibe when you walk in; the music is loud and you dance your way to the counter or table but you can have a conversation. Like a sports bar the TV is on and the men are watching with their sports. They are active in the community; sponsors of local soccer teams, and up and coming politicians. They keep us informed about local news and upcoming Reggae shows. Boss Lady (Management) and Peter (Waiter) sure make me and my family feel welcome and at home. They remember little things like my granddaughter only likes the Beef Patties and the Jerk Chicken Alfredo Pasta Dish. Boss Lady threw herself a birthday party and made it a customer appreciation party. They always make going there an experience to remember. Visit Banana Tree at 4885 Redan Rd, Stone Mountain GA 30088. So many of our communities are Planned Unit Developments and the condos, townhomes and even fee simple have mandatory associations! We pay a price for all regulation and with these properties the price is freedom. We have to make sure the communities we purchase in allow us to live the lives we wish to live. For example – Is it me, or does everyone all of a sudden want chickens – for eggs, for meat and even for pets. But before you get to excited because the City /County your buying in allows them, make sure the association does too! Otherwise, you’re dream of chickens could be cooked before the first egg is hatched (the metaphor is scrambled but you get the idea). But so often lately, the big pinch is on rental restrictions. Please consult with the association directly before assuming (now that you have read the 4 Agreements of course you’ll never assume) you can rent the property in general or that the maximum rental capacity has not been met. Just last week, we got to closing and a realtor representing a buyer assumed that the property had no rental restrictions because it was near a similar community and appeared to have the same architecture. Fortunately the saving grace was that the listing agent was aware that the buyer wanted to rent and had already confirmed there were no restrictions. The last point on HOA/COA is as the saying goes – “Freedom isn’t Free” and neither are Mandatory COAs or HOAs. They are downright expensive at times and we often find ourselves in a “tug-of-war” with the appropriate party to pay for the letter required to close your transactions. Don’t let this happen for a number of reasons – 1. if your client is waiting, the fees get much higher as we get much closer to the closing date. It’s not uncommon for us to see a $100 letter become a $300 letter as we go from 14 days or more to a “super rush fee” of 3 days or less. 2. If we wait, we run the risk of discovering a fee which is a surprise to either party, and 3. Waiting can delay a closing – something we all fight to avoid. So encourage your clients to cooperate so the closing attorneys and staff may ensure the letters are ordered to minimize costs, surprises and delays! As many of my friends and those who know me best are aware, I read a lot of books on a variety of subjects but often the purpose of the book is to improve in a specific area. Self help as one comedian joked is what gets us into our problems in the first place so I like to see what others have to say that can help me improve. This small 138 page book packs much into the easy to read pages. If you read fast you can certainly finish in a couple of hours and if you read slow not much longer. But of all the books which fit into this category called “Self Help” I am convinced this book is the one to read if you read no others. Here what many reading this might be inclined to think – oh this is “common sense” and while I agree, it’s not often common in practice and I’ll bet everyone is better at one or two of the four listed above. However, instead of 12 Principles for this that and the other as so many books suggest (and I have seen 25 prinicples and more in these kind of books) the four agreements above are enough to transform yourself and your life. 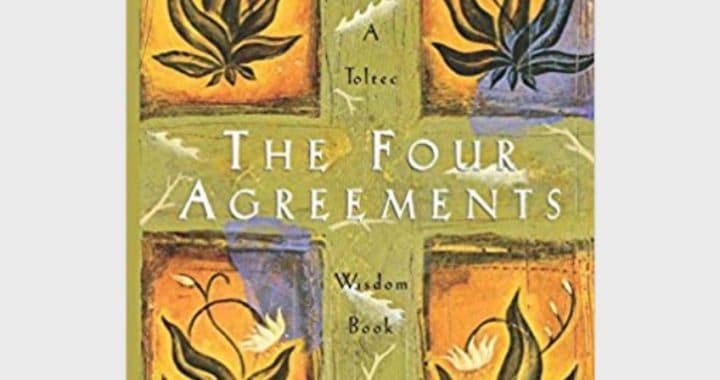 I loved this little book and want to read it until I am as close to 100% as I can be with the 4 Agreements. Please if you do read the book or have read it, let me know what you think! Here’s to your freedom and to your transformation too. When I first moved from New Jersey, to Georgia, I was desperate to find a place that served up a good New York style bagel. When a friend recommended Bronx Bagels, in Alpharetta, assuring me that it was just as good as the ones back home, I decided to see for myself! Bronx Bagels has a fun retro diner vibe, with an old school menu loaded with a variety of breakfast and lunch choices. The staff is hustling and bustling behind the counters, tending to each patron, ready to place their order whether it is in house or carry out. While all of their food is delicious, I HIGHLY recommend ordering their AMAZING bagels or bagel sandwiches. Each day they bake fresh hand rolled, Kettle-Boiled bagels which gives them that authentic New York flavor. My personal favorite is their Taylor Ham, egg and cheese sandwich served on your choice of bagel. So if you are in the mood for a real New York style bagel, I would urge you to check them out. There’s a reason they’ve been voted #1 Bagel in Atlanta and Top Ten Bagels in the United States! Reh! 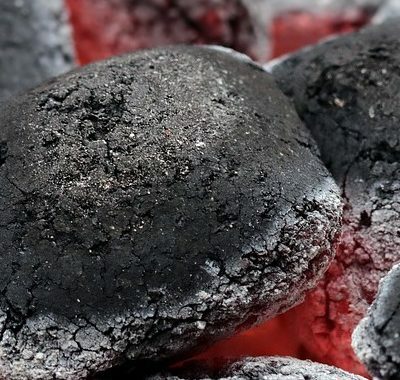 Quente! Atsui! Caliente! Hot! So many languages and so many ways to say hot! You know it when you see it and we are in a traditional hot month for real estate sales throughout the country and in Georgia! Did you know that nationwide, June is traditionally the fastest month to sell a home? So if you have listings right now or you’re a loan officer with successful listing agents you are probably very busy! It’s even better for all of us because the current economy worldwide and nationwide is hot. Globally, growth is “expected to reach 3.2 per cent in 2018 and 2019” which is robust and in the United States, unemployment is at the lowest level since 2000 just 3.8%. “But wait…. There’s more!” as the infomercials say! Our greatest optimism for real estate professionals (including realtors, agents, mortgage professionals, builders and closing agents) is what’s going on right here in Georgia! Our employment growth and wage growth are both outpacing national averages.We have the busiest airport in world but more importantly we are currently #1 in corporate relocation. That means jobs, which means more housing needs, which means more purchases, sales and financing opportunities. Don’t let anyone tell you otherwise! So the Fed raised rates on June 13thand is signaling they may play a lesser role in keeping rates down. Many of us are old enough to remember when fixed rates first dropped below 10% and we all cheered. Perhaps ARMs will make a comeback but if we are employed and the local economy is booming you can make it big in real estate (and Shafritz & Dean is here to help!). Be excited and be ready because this is haymaking season and for those of us who survived the Great Recession it’s time to make up for lost time, lost profits and well, just plain old losses. However, don’t forget that word recession, because cycles happen so make sure you squirrel some away for the rainy day. At Shafritz & Dean, LLC we are hot, but we are never too busy for your referrals, never too busy to help you with your contracts, your loans, your questions and your business! Wow… what a month it’s been! Activity is significant, but we saw a rash of Purchasers of all kinds getting cold feet after the due diligence period lapsed, after the appraisal contingency lapsed and after the opportunity to terminate lapsed. A pattern seemed to take shape: Purchaser became anxious for one reason or another (justified or otherwise) and wanted to unilaterally terminate; unfortunately, they simply were not in a position to do so. When their agents contacted Shafritz & Dean, we became the messenger of what happens when you want to terminate, but the other party doesn’t, & worst of all, you don’t have the unilateral right to do so any longer. So let’s start with some generic examples of what happened. Example 1 – Agent calls me to tell me the client wants to terminate as home did not appraise initially. Agent was told orally by listing agent that Seller would not sign amendment presented to reduce price. Armed with that information, agent showed new home to her client who fell in love. You guessed it, Seller on first property signed the amendment and now a real problem existed for the Purchaser, since they could not buy both homes. They tried to unilaterally terminate and of course were told that was not acceptable. Example 2 – Investor purchased home “as is” with limited due diligence period. When they pulled down a decorative blanket placed by the tenant during their walk through and after the due diligence period, to their surprise they discovered what appeared to be mold and water damage. They wanted to unilaterally terminate and the Seller hired a good attorney who notified our firm the next day we needed to hold the earnest money and be prepared for potential litigation. Example 3 – Purchaser and Seller agreed that Seller would make numerous repairs to the property, following written underwriting approval by Purchaser’s lender. Purchaser wanted to terminate despite only providing written underwriting approval 24 hours or less and after extending the contract unilaterally due to their lender requiring additional time. Seller was unwilling to do so and has threatened litigation. We believe the Buyers are not fully aware of the rights of the Seller (and perhaps vice versa) when a default occurs. Agents must know the GAR contract inside and out, and this means ensuring your clients know what the risk is of failing to perform or default. Under GAR Contract Section C.2 a.-c. The defaulting party is liable, and for much more than earnest money. “Any lawful remedy may be pursued against the defaulting party.” Section C.2.a. The broker may pursue commissions under Section C.2.b. and perhaps worst of all the non-prevailing party will be liable to the prevailing party for reasonable fees under Section C.2.c. So you may be wondering how these and other “fine messes were resolved.” Several are ongoing but 2 were resolved: one for the Earnest Money plus damages under $5000, and one for a five figure settlement. Oh… in one case the buyer didn’t believe us, and so they met with an outstanding local real estate attorney. That buyer settled for five figures (not including the attorney charges). Don’t let this happen to your clients, and don’t get caught in the middle. Even though it is a sellers market, if you want to limit liability to the Earnest Money, submit your offer accordingly. Call or email us for guidance on contracts and look for our CEs on drafting etc. 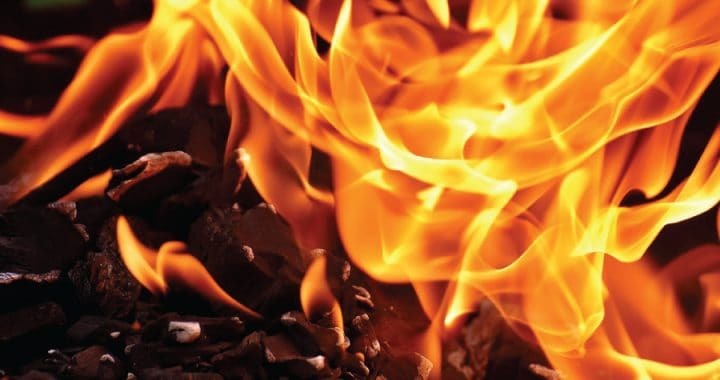 Don’t let your buyers get burnt! Now that’s a funny name! As our firm has grown, we decided what we needed was an attorney with significant underwriting experience, practical closing experience and substantial title clearing experience. Fortunately, Ken Grim was available and an obvious choice. Ken worked briefly for us when the Great Recession was going on. However, prior to become a lawyer, Ken was an actual “deed dog” i.e. title examiner. During his approximate 25 years as a licensed attorney in Georgia, about one third of this time has been spent in residential and commercial title insurance underwriting, with both national and regional title insurance companies. Ken’s other experiences include being a lead title curative attorney at one of the larger firms in Georgia and helping with closings and business law matters elsewhere. We don’t like to brag but we are proud that Ken joined our team. As our “Title Czar” he is both an internal and external “help desk” for all things title. He reviews every title exam and assists staff, “friends of the firm” and even other attorneys with solutions to challenging title problems or just answers to questions. You can reach Ken at [email protected]. 1. Do you know what mental strength is? 2. Do you believe you are mentally strong? 3. Do you want to get mentally stronger? The author, Amy Morin, says that mental strength is our ability to manage emotions, thoughts and behaviors positively, regardless of our circumstances. With that definition in mind, consider whether you are strong. It seems most of us want to improve and get stronger in all areas. a. They don’t waste time feeling sorry for themselves. b. They don’t shy away from change. c. They don’t worry about pleasing everyone. e. They don’t give up after the first failure. I am intentionally not listing all 13 chapters or things mentally strong people do. While it’s a good book, it offers great ideas, and if you can read it you will be prone to become mentally stronger. Just reading the bullet points isn’t enough. 3. Bullet points on what the problem looks like and whether you have the “symptoms of the weakness”. [Don’t worry; only you determine it] 4. A deeper dive into why we think that way. 6. Analysis of how to solve the problem. 7. Quick Bullet points on what is helpful and what isn’t. Read the book and become Mentally Stronger! Amy Morin has written a nice book. It’s neither an easy nor hard to read, fairly well organized and well written. Most importantly it’s great insight, advice and allows the reader to comfortably analyze their own mental strength and look for areas of growth! My firm had closed a file in escrow, where the Buyer and his Lender had refused to send the funds to our escrow account until the Seller vacated the home. The Seller refused to vacate the home until she received a check. Surprisingly, this does not happen more often. Who was right and who was in breach? As with any legal question: it depends which party the lawyer represents! So let’s figure out how to solve the problem and avoid a lawsuit. If you represent the Lender, this particular Lender is housed in California (which is an “escrow state”). They do not fund closings the day they close. My first step was to explain that, without the funds in our escrow account, the Buyer would not be “ready to close.” So I quickly pointed out the difference between California and Georgia and explained the necessity for the funds to make their way into our escrow account. We provided assurances in writing that no funds would be disbursed until the home was ready to be transferred. So remind those Escrow State lenders that, in Georgia, purchase transactions generally fund the day of closing. So the seller has not exactly performed and is far from inspiring the buyer. Who will blink? When we are involved, hopefully, (as occurred yesterday with my involvement), all three will blink. Lender agreed with my earlier analysis to send their funds; the Buyer finally understood telling everyone you were ready was not the same as showing everyone by wiring the funds to our attorney’s trust account. Of course I assured him that under no circumstances based on the Seller’s (bizarre) behavior would we disburse until she “finished the job,” and removed the debris and dogs from the property. Lastly, a skilled staff person gently took my less than gentle message back to the Seller – “everything but the dog” was not good enough. If you want your check Ms. Seller, get the debris and the dog out. The Buyer will then be at the home with his agent for a final walkthrough and only after confirmation will we hand the Seller her check. If you represent the Buyer – make sure they perform under the contract. I don’t care if they had a bad experience previously, no money in an attorney’s IOLTA escrow account the day of closing is failure to perform. Ditto for the Lender! If you represent the Seller – make sure the Seller has the home ready for transfer. It should comply with the contract and, but for the exchange at the closing, be imminently ready for transfer. Failure by the Seller to do so is a potential breach. This was a low dollar distressed sale but we had a recent high dollar sale with similar challenges. The Buyer wanted the nail holes filled and the “walls painted,” and the Seller and his agent explained the “paint was more than 15 years old” and it would not match. Wow, were they right! So how is this the same? 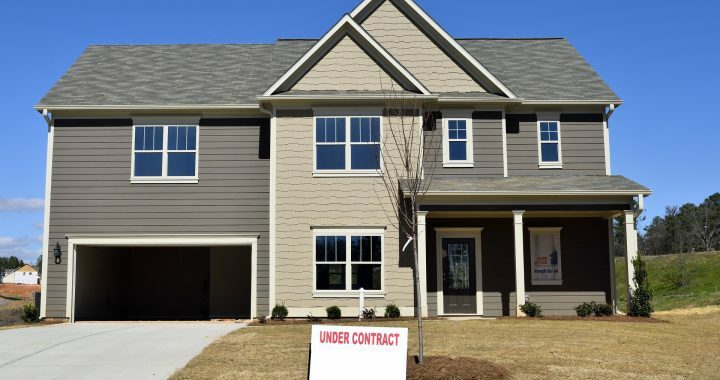 Because expectations as to how to deliver the home were not consistent between parties and it led to a tense and delayed closing in both cases. So the good news, the deals both closed, but the bad news was they weren’t completed in less than 1 hour. Manage your clients and ensure they fulfill the obligations of their contract and perform accordingly up to and even after closing.